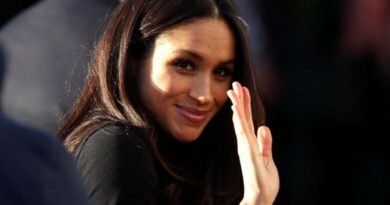 The Take That singer shared a secret with Meghan about Prince Harry at the Royal Variety Performance. Harry’s dirty secret is finally out, things will never be the same-how will his wife react to this news, especially with a baby on the way? This week, the Duke and Duchess of Sussex, Meghan Markle and Prince Harry attended the Royal Variety Performance. It was the first time that Meghan has attended the annual show, where she got the chance of greeting performance, as the royals do every year. 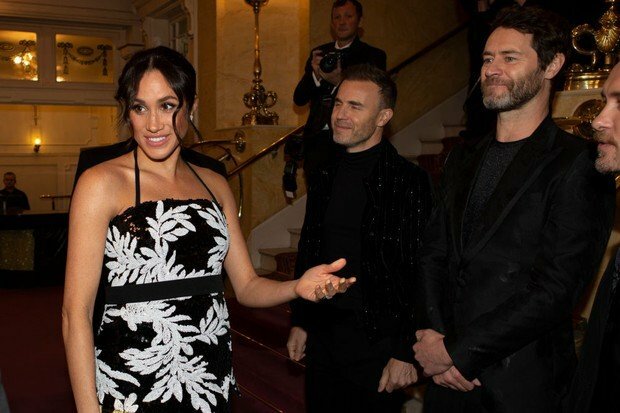 Among the performers was Take That, whose members Gary Barlow, Mark Owen and Howard Donald also had the chance to speak with Meghan and Harry, as they welcomed them at the London Palladium for the star-studded event. Harry talked with the band about how long they have been in the music business, marvelling at the fact that the band formed 30 years ago. Gary Barlow then turned towards Meghan and said: “He’s been on one of our records”. 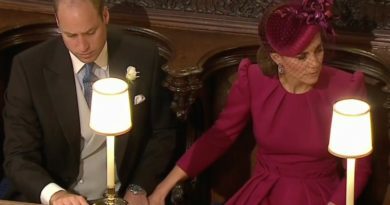 Meghan smiled and nervously touched her hair before throwing back her head and laughing as the Duchess didn’t know whether the X Factor judge was serious or not. It has never been officially confirmed whether Harry really did sing on a Take That track. What we do know that the Prince played the tambourine on ‘Sing’, a song was written by Andrew Lloyd Webber and Gary Barlow and performed by artists from all across the Commonwealth in as a way to celebrate the Queen’s Diamond Jubilee. The song was given to the Queen at the beginning of May 2012, with Barlow and Lloyd Webber personally giving her a framed copy of the sheet music and even performing the song to her. Meghan also paid a visit to the Hub Community Kitchen, to check up on all the women that helped her launch her Together cookbook. She created the book with the help from all the women affected by the Grenfell tragedy-some of which even lived in the building. All the money they made from the sales of the cookbook went to helping the community renovate the kitchen in their centre. 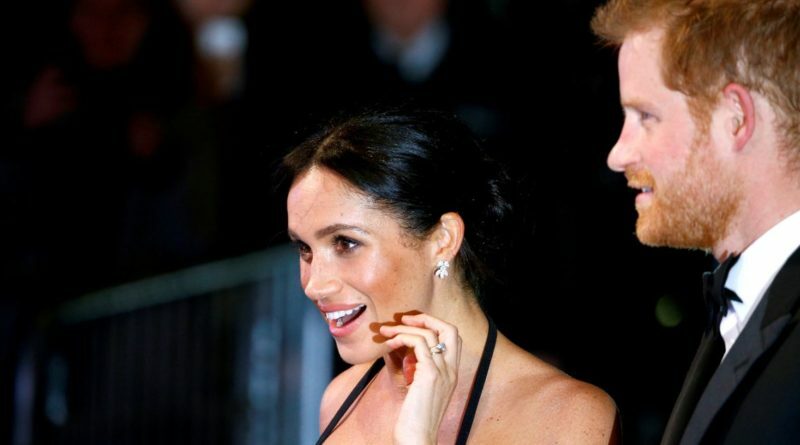 READ NEXT: How Will Meghan Celebrate Her First Thanksgiving As A Royal? ← How Will Meghan Celebrate Her First Thanksgiving As A Royal?